With over 10 years of experience in the industry, the team at Need Grass Now is your resource for turf building and erosion control. 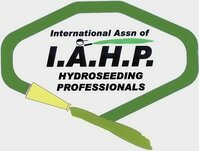 We specialize in hydroseeding and barrier erosion techniques, offering solutions that make sense for your budget. With hydroseeding you can expect grass growth in as soon as five days. In addition to quality effective turf building, our erosion control services — including erosion blankets, straw bales, fencing and more — offer effective solutions for your immediate needs. Whether you’re a homeowner looking to enhance your yard, a custom home builder ready to install the yard or a business owner with large tract or smaller storefront needs, together we’ll devise the solution that makes sense for you. Being able to count on trusting us to be safe, honest, dependable, and able to give you the best for your money. We are focused on community and community service. We are good citizens, professional, able to pass background checks for approval in military installations and airports. We are trained in safety and ceritified in erosion control techniques with specialty erosion products. We don’t use cheap seed and mulch. We make sure to use the best additives like biorganic stimulants, and tacking agents to increase the effectiveness. Kenny Vent has over 20 years of experience in customer service and 15+ years in business and management experience. 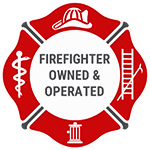 He has worked in fire service for over 9 years and has an extensive background in the construction industry. He is a family man with Christian values. Jordan Hicks has over 9 years of customer service experience, 5 years of experience with corporate accounting, and 5 years of business ownership experience. He has a background in welding, construction, and manufacturing. Jordan is customer service oriented and stands by his Christian values.